For this month's Student Spotlight we wanted to recognize a few of our TCNJ students. Emily is a senior this year and will be graduating. We are going to really miss you, Emily. Keep practicing and remember to breathe! Hope you'll come back and visit! I’m originally from Oradell, New Jersey, but I live in Ewing during the semesters at TCNJ. 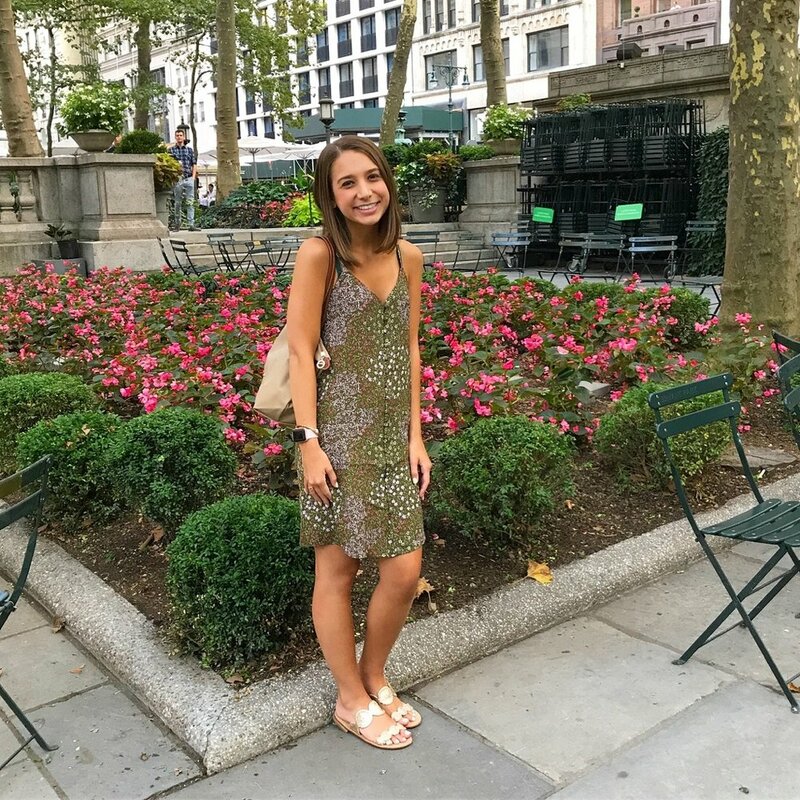 I’m currently a senior at TCNJ- about to graduate- and I will be moving to NYC over the summer, where I will be going to NYU for my master’s in Speech Pathology. When did you start practicing yoga? What was it about yoga that first interested you? I started practicing yoga at the beginning of this school year, which was the end of August 2017. I knew how beneficial yoga could be for my overall health and well-being, and I figured that I could really benefit from the stress relief and “me-time” that yoga would provide. With the pressure of senior year and applying to graduate schools beginning, I knew it was time to give yoga a try. How did you discover Empower Yoga? I discovered Empower Yoga because I live in Campus Town at TCNJ, so I always passed it when walking around. I have to give credit to Julia Grabenstein (a former Empower Yoga employee and member) for actually getting me to join Empower Yoga on the day I moved into my apartment in August, because she truly had nothing but amazing things to say about the studio. How has the studio helped to EMPOWER you? This studio has empowered me in more ways than I would ever be able to explain. I have gained confidence in what my mind and body can do— it really amazes me how much my yoga practice has been able to grow and improve in less than a year. I have gained the ability to filter out the negativity in my life, to breathe when things get hard, and to focus on my own intentions. The community at Empower Yoga is amazing, and just being in a class with so many great people is motivating and empowering in and of itself. Tell us about your favorite classes- What you’ve learned about yourself? How have you surprised yourself? What has been your favorite memory? Anything else you’d like to share about your practice? My favorite classes are Power Flow and Yoga Sculpt. I love the quick pace of Power Flow, while still being able to focus on stretching and breathing. I love Yoga Sculpt because it challenges me and has taught me how to both push and respect my limits. My favorite memory is honestly my first yoga class with Keri. It was my first yoga class EVER, and I was so nervous. Keri made me feel so welcomed and assured me that it didn’t matter that I was a beginner. That class was challenging in so many new ways, but I had so much FUN. Also, all the Yoga Sculpt classes with Andrea are so much fun, and I have so many amazing memories from those classes as well. Outside of yoga what are some of your other hobbies/interests? I’m not the most interesting person! I really love baking, but I don’t bake much at school because I don’t have the right supplies in my kitchen. I also like reading (Kristin Hannah is my favorite author), and I watch a lot of Grey’s Anatomy and This Is Us. And I love taking walks! Walking outside in nice weather is one of the most peaceful things for me. Matt is also a senior this year and will be graduating. We are going to really miss you, Matt. Keep practicing those handstands! Be sure to come back and visit! I am from Barnegat, NJ and will be a full-time Software Developer for AT&T after graduation. What was it about yoga that first interested you? I started practicing yoga a little over a year from now. My one friend was a yoga instructor on campus so I went to one of her classes. Ever since then I've been hooked. I really enjoy both the workout and the relaxation of yoga. It's away for me to get away from thinking all the time and just focus on my breath. After going to some classes on campus I knew I wanted to go to a studio daily to practice yoga. Since I attend TCNJ I passed the sign and finally decided to join. Overall the studio has just made life more enjoyable. Practicing yoga has helped me relax and the community at Empower Yoga is very welcoming and friendly. My favorite classes would have to be the yoga sculpt classes. Every week is a new physical challenge which I enjoy. Unlike other classes this style is more intense so I am constantly pushing myself to become stronger both physically and mentally. 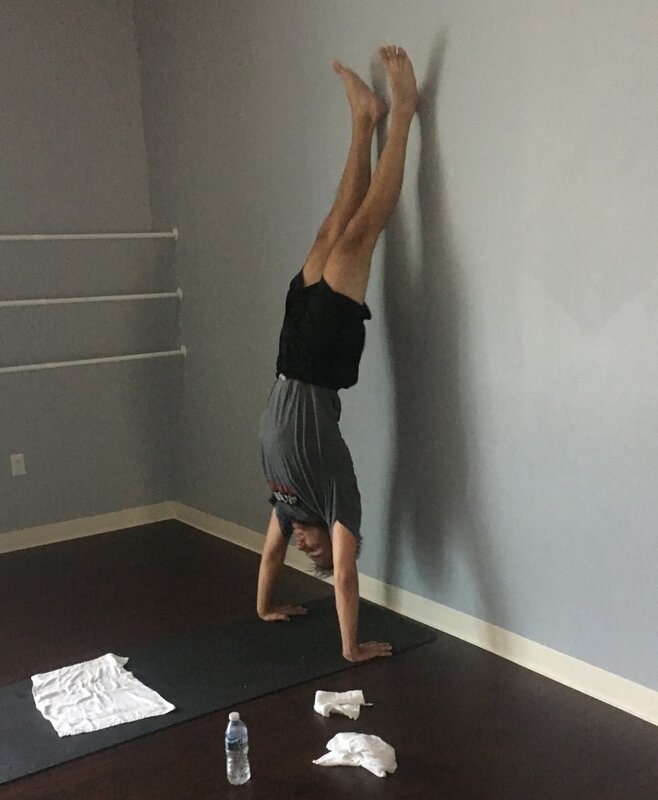 I would definitely say I surprised myself the first time I performed a headstand and a handstand. I’m from North Haledon, NJ up in Passaic County. Right now, I’m a Junior at TCNJ getting my BFA in 2019 and I also work as a Gallery Assistant for the TCNJ Art Gallery part time. I started practicing yoga around Senior year in high school. It was a great way to relieve stress and a good addition to my workouts. My friends were the ones who got me in to it. They were going to a hot yoga studio in my town and I decided to join them, and I fell in love! I’ve lived in Campus Town for two years, and I had heard that a yoga studio would be opening. When I came back for the spring semester, I wanted to start my yoga practice again so it seemed perfect to join! I’m a super anxious person, and emPower yoga has given me an outlet to help me get all of that out. After I go to a class, I feel like everything that I have been worrying about or stressing about doesn’t matter anymore. It’s super liberating to be able to get rid of all the things that hold me back. That’s something that yoga has always been able to do, but being part of this community has strengthened that. All of them!! There is rarely a class that I don’t enjoy. And the only reason I won’t have a good time is because I’m not on top of my game- but I’ve learned to know that that is okay!! I’ve really learned to accept my body and know that I will have my ups and downs and all that really matters is that I keep pushing myself to be better than I was yesterday. It’s a super slow process!!!! But it has already been worth it. I remember when I first started I could not do a side plank for the life of me. The first time I did it I was so excited!!! Seriously… I called my mom and told her about it. This process has been about being stronger and working on myself and it has been so extremely rewarding to just be able to get into certain poses that I wasn’t able to in the beggining. I’m an artist, and while a lot of what I do right now is for school, it is what I love. I’m currently interested in installation, performance, and conceptual art. I’ve also been exploring a lot of New York galleries lately. It is super peaceful for me to walk around the city on my own and experience art!